I recently mentioned wanting to get a bundt pan to my husband. 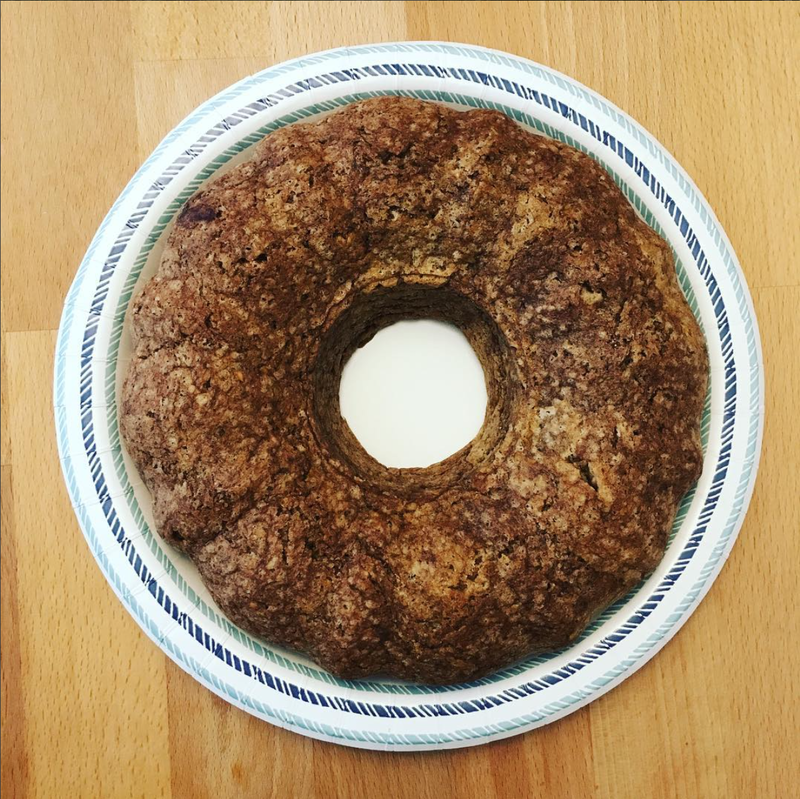 I don't remember why exactly, but it seemed like something I needed to do, especially after making the most epicly delicious Sweet Potato Cake from an old IKEA cookbook that I bought ages ago and never used until recently. It's actually less a cookbook and more of a guide to great kitchen living, with tips on using scraps and how to sort your produce. It's more of a coffee table book chock full of delicious, Nordic recipes. 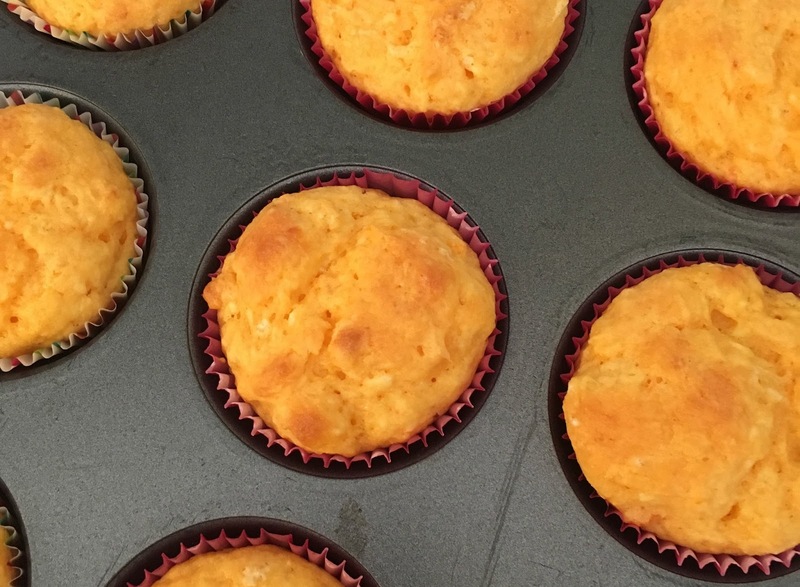 The Sweet Potato Cake recipe was a huge hit with my munchkins, even with my gluten-free substitute flour. But back to the bundt pan. When I mentioned it, my husband said, "Oh, I have a great recipe!" He led me into the kitchen to his ancient copy of Mrs. Beeton's Book of Household Management, a mainstay of the British world, and pulled out a barely legible chocolate bundt cake recipe written on a scrap of paper. We’re going out for Shabbat lunch, and I'd offered to make dessert, so make the cake I did. But not before calling and/or messaging him a half-dozen times to verify aspects of the recipe. "How much is in a 'packet of baking powder' exactly? We don't have packets of baking powder in America." "The recipe says milk, but there's no milk listed in the ingredients!" "Really, only 1.25 cups flour, really?" I'll admit I fudged a bit and doubled the amount of cocoa powder it called for because it just didn't look chocolatey enough. After I got it into the bundt pan and into the oven, I made another half-batch of the batter because I didn't believe it was going to work. I put the half batch in some mini bundt pans I'd gotten and into the oven it all went. When I pulled them out, I was skeptical. I took a taste. It's not half bad, for being a questionable scrap-o-paper recipe made with gluten-free flour. It's not as sweet as American cakes, but honestly that's probably a good thing. "Let me make it," my husband says. "With real flour." Luckily, the Shabbat guests loved the cake. It was different, but super tasty. We also checked in with his mum after Shabbat and found out that her packet of baking powder actually contains only 3 teaspoons of baking powder, so that might make a difference. Add mix, oil, and eggs. Bake for 35 min approx. It turns out self-rising flour is preferred in the UK, but whatever you have should work. I used Cup4Cup Wholesome Flour for this recipe. Once up on a time, I loved eating at the IKEA cafe. When I went kosher, this was no longer a possibility, until I lived in Israel, where, you guessed it, the cafe is kosher! I miss those inexpensive meals of salmon, green beans, and french fries ... ah, those were the days. Now, my only peace of mind comes from being able to use the IKEA Cookbook to craft some delicious nosh that, honestly, you'd never find in their cafes anyway. But, to be honest, this isn't necessarily a cookbook. It's more of a "how to have an amazing kitchen and respect the planet, yourself, and your kitchen" book. The tips in this tome are impressive, thoughtful, and universal. The bummer is that it seems this book -- Our Food, Naturally -- is no longer available, and for that, I apologize to you, because you're missing out. The photography just jumps off the page at you, too. Put the yam flesh, butter, and yogurt into a food processor and blend. Put the mixture in a bowl and sieve in the flour and baking powder. Mix together and whisk the grated apple, sugar, and eggs into the dough. Divide the muffin mixture into cups (roughly 1/2 cup) greased with a little melted butter. Fill with mixture to 1/2 inch from the edge. Bake at 350 degrees F for 25-30 minutes or until they feel firm and are golden on top. I ended up roasting two medium-sized sweet potatoes, which was actually enough to double the recipe. So one medium sweet potato should do the trick. I used Greek yogurt in this recipe. For the flour, I used Cup4Cup as a gluten-free replacement. I very rarely mix ingredients separately, because I'm a lazy cook. I just there everything into the KitchenAid mixer and let the whisk attachment do the rest.